iRworld Brand New SMS Alert Feature! 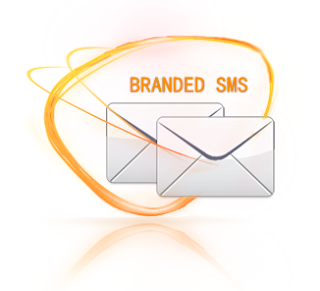 Home » Unlabelled » iRworld Brand New SMS Alert Feature! Imagine a scenario where you’re out of funds in your account, and . Wouldn’t you love to be notified immediately regardless of where you are? We are delighted to announce our brand new SMS Alert Feature that will keep you updated on the go! This feature is available to you and your iRworld resellers. The Low Funds alert will be sent when the Advance Account Balance falls below the Funds Threshold level that has been set in the Control Panel. Product Renewal alerts will be sent to customers giving them information about their orders that are expiring in the next 7 days. Launch Date: This feature will go live on 20th March, 2013. Availability: This feature is currently only available for Indian Customers. Charges: There is absolutely NO charge associated with this service. Opt-out Details: By default, Indian Customers will be opted in for receiving alerts. The SMS Alerts blurb will be placed on the dashboard in the Control Panel from where you can set your preferences. Agreements: Our Customer Master Agreements will be appropriately modified to incorporate this new service. We will send a maximum of 3 SMSes to a mobile number in one day. We will stop sending alerts to a mobile number, if 5 consecutive alerts fail. Sign-up Form: Going forward, the Mobile number field in The Customer and Reseller Sign-up form will be mandatory. The New SMS Alert Feature is a first of its kind in our industry, so go ahead and make the most of it! We recommend that you ensure that the mobile numbers in the Control Panel for you and your customers are up-to-date. We would love to know your feedback on this new feature. Do write to us and tell us what you think! If you require more information on this new feature, please get back to us. This is a new SMS alert feature and very helpful. SMS alert is like bulk sms wordpress plugin.